Rain, Hail, Or Shine, The George Foreman Easy To Clean BBQ Grill Will Ensure That You Are Able To Cook Up To A Barbeque Feast No Matter What Mother Nature Has In Mind. 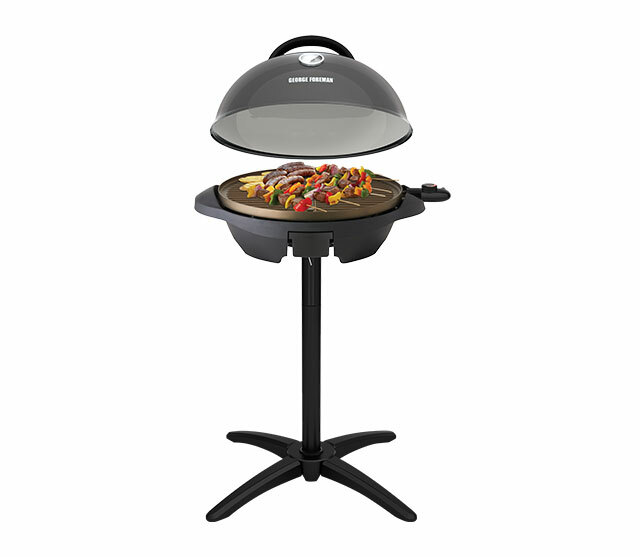 With Its Indoor/ Outdoor Feature, The BBQ Grill Easily Removes From The Base & Can Be Safely Operated On Your Kitchen Bench. When You're Done, Simply Detach The Plate & Place Them In The Dishwasher. It's That Easy! Designed For Apartment Dwellers Or Those Who Can't Access Natural Or Bottled Gas, The George Foreman GGR300AU Electric BBQ Gives You The Benefits Of A Gas Or Charcoal BBQ, Without The Hassle. With George Touch Pro Non- Stick- Coating On The Grills, Which Are Also Dishwasher- Safe, Keeping Your BBQ Clean & Ready Is Super Simple. Simply Designed For Apartments Dwellers Or Those Who Are Not Able To Access Natural Or Bottled Gas, This Is A Must Buy.